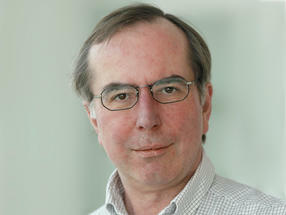 Jörg Soppa, born in 1958, studied biochemistry in Tübingen and then went on to do his doctorate at the Max Planck Institute of Biochemistry in Martinsried near Munich. In 1990 he established his own research group there and held courses at the Institute of Genetics and Microbiology of Munich University where, in 1994, he qualified as a professor. In 1995 he was a visiting scientist at the University of British Columbia in Vancouver. Soppa has been working at Frankfurt’s Goethe University since 1996, first as a Heisenberg fellow, and since 2001 as a professor of microbial genetics. His group investigates a variety of biological processes in archaea and bacteria. For seven years, Soppa coordinated the Priority Program “Genome Function and Gene Regulation in Archaea” of the German Research Foundation (DFG). In addition, he took over many responsibilities within the department. For six years he was an academic dean. He was and is still a member of many university commissions and since 2013 also chairman of the university's accreditation commission for degree courses. Jörg Soppa received a Heisenberg scholarship from the DFG in 1995. In 2010, he was selected by the students of the Goethe University as the best biology lecturer. Jörg Soppa’s research group works in basic research and focuses mainly on halophilic archaea, which live in biotopes containing high salt concentrations. It uses molecular genetic, microbiological and biochemical methods to investigate, for example, the regulation processes that enable adaptation to different conditions. Other fields of research include small, non-coding RNAs, very small proteins (μ proteins) and the initiation of translation. With its discovery that most prokaryotic species contain several or numerous genome copies (and are thus oligoploid or polyploid), the research group has set new standards.